This car is in excellent "unmolested" condition. The paintwork and bodywork are in really good order and the upholstery shows little sign of wear and tear. I have loads of history for the car including a fully stamped service book, some bills and most of the old MOT certificates. The car drives superbly and to find a Defender in this sort of condition took me a long, long time. Most people who see the car assume that it's only a couple of years old and that I paid a stack of money for it (it's currently on a cherished plate which I'll remove and retain prior to sale). 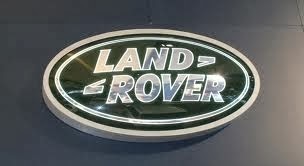 The Td5 engine is the last of the genuine Land Rover engines later Defenders were fitted with Ford Transit engines. The only reason it's for sale is that my wife, who has had a lengthy spell in hospital, finds it simply too heavy for her to drive - if it was down to me we'd be keeping it but we need a car that will cater for our two large dogs and that we can both drive. As you'll probably know, good Defenders are tipped to be an appreciating asset which is not something you can say about many used cars! If you would like to view the car please do so before the auction ends as if you bid I will expect you to honour the bid. I am situated in The Vale Of Belvoir (Postcode NG13) - about 12 miles from Nottingham and 10 miles from Grantham, just off the main A52.